...Base model. 12A engine. 4 speed manual. Drum rear brakes. ...Speedometer standard 1025 revolutions per mile (US standard 1000 revolutions per mile). ...Coolant temp sending unit- 190-260 ohms @ 122 degrees F.
...Coolant temp gauge- hot=16.9 to 21.1 ohms / cold=178.4 to 240 ohms. ...Oil pressure sending unit- engine stopped=74+ ohms / 30psi=43 ohms / 45psi=50-57 ohms. ...Oil pressure gauge- 120psi=10 ohms / 60psi=28 ohms / 0psi=infinity. ...Fuel level sending unit- full=6 ohms / 1/2=31.5 ohms / empty=80 ohms. ...Fuel level gauge- full= 7.4 ohms / 1/2=31.5 ohms / empty= 75.9 ohms. ...4 on 110mm wheel lug pattern. 13" Steel wheels. ...Rear pinion flange bolt pattern- (4) .325 holes on 2.946" bolt circle (rectangular pattern). 1.772" dia male pilot. ...2nd level model. 12A engine. 5 speed. Drum rear brakes. Rear Torsion bar. Electric fuel filler and rear hatch releases. Sunroof optional. ...4 on 110mm wheel lug pattern. 13" mag wheels. ...GS with black paint. 12A engine. 5 speed. Drum rear brakes. Electric mirrors. Leather. Only 3000 produced. ...4 on 110mm wheel lug pattern. 13" Gold painted mag wheels. ...Base model. 12A engine. 5 speed. Drum rear brakes. Steel wheels/4 on 110mm wheel lug pattern. Shifter moved back 2". Increased fuel tank capacity. Space saver spare tire. Licnese plate moved under bumper. Soft bumper faces. ...Deluxe model. 12A engine. 5 speed. Rear Disc brakes. 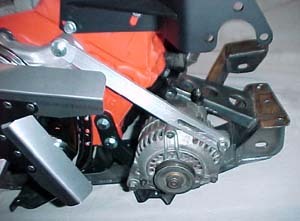 Limited slip diff. Leather interior. Electric windows. Sunroof. Mag wheels/4 on 110mm wheel lug pattern. ...Keylock removed from gas filler. 130 mph speedo in US. Single windshield squirter replaced by dual. ...Limited Edition. Champagne Silver paint. 12A engine. 5 speed. Drum rear brakes. 14" wheels/4 on 110mm wheel lug pattern. ...4 on 110mm wheel lug pattern. Both 13" and 14" mag wheels. ...Rear pinion flange bolt pattern- (4) .333 holes on 3.500" bolt circle. 1.772" dia male pilot. ...Brake vents added to front air dam. 140 mph speedo in US. 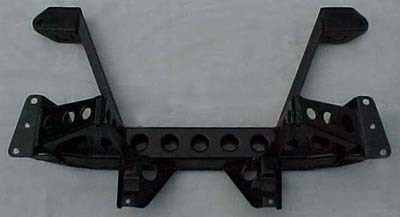 Lower rear control arm's front mounting point lowered 20mm to increase roll understeer. ...Mid level model. 12A engine. 5 speed manual (4 speed automatic optional). Disc rear brakes. Aluminum wheels/4 on 110mm wheel lug pattern. Buttons instead of levers for air control. Leather interior no longer standard in GSL. ...4 on 110mm wheel lug pattern. 14" mag wheels. ...Deluxe model. 13B fuel injected engine. 5 speed only (no automatic). Bigger 4 wheel disc brakes. Aluminum 14" wheels/4 on 4-1/2" wheel lug pattern. Better oil cooler. Optimized transmission ratios. Larger fuel lines/larger fittings in fuel pick-up. 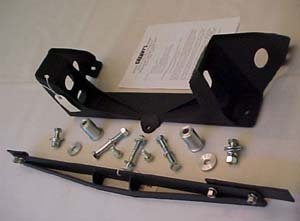 ...Front motor mount holes in crossmember re-located 20mm (.788") farther forward to accomodate longer 13B engine. ...4 on 4-1/2" wheel lug pattern. 14" mag wheels. 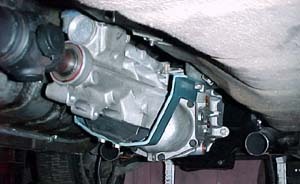 ...'84 model came with a 4.083 rear gear ratio. ...'85 model came with a 4.077 rear gear ratio. ...0.758 5th gear ratio in 1984. ...0.715 5th gear ratio in 1985. ...a 225x50x15 or 225x60x15 will easily fit the rear using the proper wheel offset. A 245 wide tire will fit w/ slight rolling of the rear lips for safety. ...with drag slicks, you can fit a 28x9x15" Mickey Thompson in the stock rear wheelwell, using a 15x8" wheel w/ a 5-1/2" backspace. ...Base model. SE is an 87-88 (i think) that has 4 lugs wheels, base suspension, sunroof(optional), ac, 146hp. ...4 on 4-1/2" lug pattern. 14" wheels. 2 piston calipers. ...Rear pinion flange bolt pattern- (4) .393" holes on 3.786" bolt circle. 1.772" dia male pilot. ...4.10 rear ratio w/ manual, 3.909 rear ratio w/ automatic. ...Luxury model with leather, cruise, ac, power door locks, power windows, auto adjust suspension, rear wiper. 4 pinion clutch type LSD. ...5 on 4-1/2" lug pattern. 15x6" wheels. 4 piston calipers. Vented rear rotors. ...0.711 5th gear ratio in '86. 0.697 5th gear ratio in '87/'88. ...4.10 rear ratio w/ manual, 3.909 rear ratio w/ automatic. 4 pinion clutch type LSD standard equipment. ...The 89-90 GXL did not have standard leather interior -- leather was optional. ...4.10 rear ratio w/ manual, 3.909 rear ratio w/ automatic. Viscous LSD optional. ...5 on 4-1/2" lug pattern. 16x7" wheels. 4 piston calipers. Vented rear rotors. ...Rear pinion flange bolt pattern- (4) .410" holes on 4.120" bolt circle. 1.772" dia male pilot. ...8" ring gear / 4.10 rear gear ratio. Clutch type LSD standard. ...According to a table in the Mazda parts microfiche, there were two GTU models made during 1988. One GTU model came with a sunroof and did not have LSD. The other GTU model did not have a sunroof, but did have LSD. They both had the hard suspension which included 4-piston calipers and vented rear rotors, and 5-lug hubs. ...5 on 4-1/2" lug pattern. 16x7 wheels. 4 piston calipers. Vented rear rotors. ...5 on 4-1/2" lug pattern. 16x7" wheels. 2 piston calipers. ...Basically a Turbo II without the Turbo. Lighter by a few hundred pounds (2800lbs vs T-II @ 3045lbs), and had the short 4.3 final drive ratio and a special close-ratio fifth gear. It had the Turbo wheels (16x7, 5 on 4-1/2" lug pattern), Turbo suspension, Turbo brakes (4-piston), Turbo seats, and so on. What it lacked were power windows, power door locks, door panel lights, cruise control, rear wiper, and sunroof (except by special order). Cloth interior was mandatory, but the steering wheel and shift knob were leather. It was only available in Black, Red, and White. Additionally, it had less sound insulation. Radio only. AC was a dealer option; not factory. Aluminum hood and aluminum jack. It was the ultimate non-turbo. 89 was also the year all the non-turbos got the power increase from 146 to 160 hp. ...4.30 rear ratio. Viscous LSD standard. ...4.10 rear ratio w/ both manual and automatic. ...the stock 15" RX-7 wheel is 6" wide with a 4-1/2" backspace. ...a 275x50x15 or 275x60x15 will easily fit the rear using a 9" wide 6" backspace wheel. A 285 wide tire will fit w/ slight rolling of the rear lips and modification of the muffler shields for safety. ...with drag slicks, you can fit a 29x10" Mickey Thompson in the stock rear wheelwell. Be sure to check out Granny's rotary powered.....4 rotor Outlaw Dirt Racer.